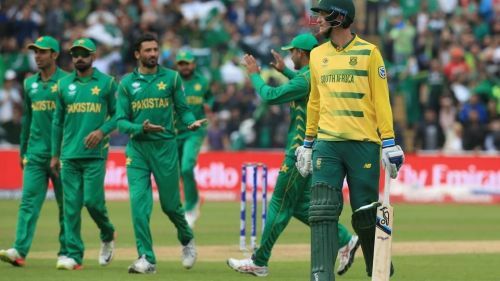 The ICC World Cup 2019 will commence from 30th May 2019 as all the top 10 cricketing nations would compete against each other in round robin format. This format is similar to 1992 tournament where the top 4 teams will qualify for the semis. The beauty of this mega event is that in every edition it has thrown lots of surprises and this World Cup won't be any different. In 1983, India surprised everyone by defeating the mighty West Indies while in 1992, the underdogs Pakistan became the World Champions. Sri Lanka, who was not a big team during 1996, won the mega event in 1996. There have lots of upsets in the World Cup history. In 2007, India and Pakistan were knocked out of the tournament in the very first round, while in 2015, England was knocked out by Bangladesh. With England and India among the top favorites in this tournament, let us find out the teams who could be the dark horses and could possess a serious threat to other teams. Afghanistan debuted in the 2015 Cricket World Cup. 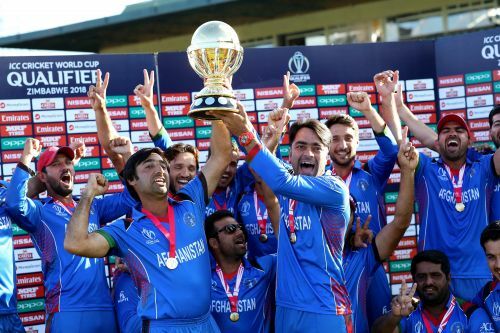 The success story of Afghanistan in the international cricket has been nothing less than a fairytale story. In the past two years, the Afghan team has taken giant strides and are getting stronger with every match. Afghanistan had won the World Cup qualifiers by beating West Indies in the finals. As a result of this win, they are now qualified for the mega event and would compete with remaining nine teams. Afghanistan is no ordinary team as they possess a very strong bowling line-up which includes the likes of Rashid Khan, Mujeeb Ur Rahman and Mohammad Nabi. Rashid is the number one T20 bowler in the world while in the ODI Rankings he is placed at number 2. This team has a decent batting order with Mohammad Shahzad and Usman Ghani at the top who play their shots fearlessly. The middle order is a stable one with the likes of skipper Asghar Stanikzai, Samiullah Shenwari, and Mohammad Nabi. Also, Rashid Khan and Shaqiullah Shafiq can add more firepower in the lower order. Overall, the Stanikzai led team looks a decent team and with most of the teams are suspectable to spin bowling, the Afghans might have a great chance to do something special.